Who is this "Agent Pendrell"? Agent Pendrell (played by the very talented actor Brendan Beiser) is one of the characters who make the best television series EVER, The X-Files, the great show it is. But Pendrell is more than just 'one of the guest stars'. In my opinion, Agent Pendrell's appearance in episodes like "Nisei" or "Apocrypha" has really made the show even more exciting than before. His presence in the show's "mythology" epsiodes is as important as the prescence of characters like Cancer Man and Skinner. He's always willing to help Special Agents Mulder and Scully on their assignments by analysing the stuff they give to him. What would mulder have done Mulder without Agent Pendrell in "Avatar"? By having a crush on Agent Scully, Agent Pendrell has also brought love into the X-Files (pretty unhappy love, but still...). This guy is prepared to do anything for his favorite female agent, and his attempts to flirt with her are very amusing to watch. 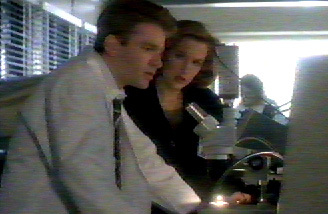 If you have the episode "731" from the X-Files season 3 on video, take a look at the part where they have a little chat in the lab (the part where Scully says: "...keep up the good work...") and you'll see what i mean. 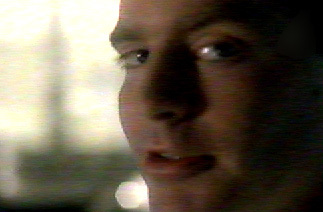 If anyone knows where I can find some good pictures of Agent Pendrell/Brendan Beiser please mail me and tell me where I can find them.